WhatsApp has frequently been in the news on Android Police lately because it seems that the team is on a roll of updates, both big and small. After adding document support (PDF only) and introducing a bunch of UI modifications, it’s now tackling the Settings screen which has never seen any real drastic changes in recent times. It switched to Material Design when the whole app interface did and it got a few additions here and there as the app has gotten more features, but the Settings have always been divided and organized in the same way for years. And that’s no more. Version 2.12.506 introduces a big change to the Settings screen. Aside from the new green icons and more spaced out elements, the most noticeable difference is a prominent placement for the profile settings, which are now right on top and not a simple item in the list. 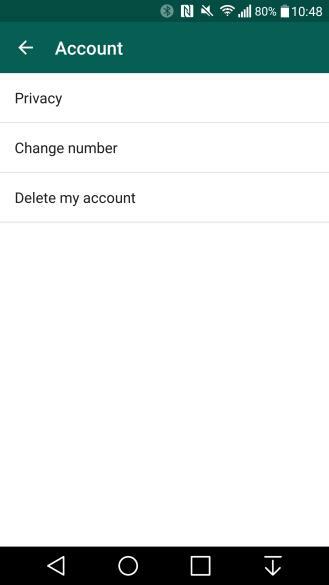 This should make it more straightforward for new users to find the option to change their profile photo, name, and status. 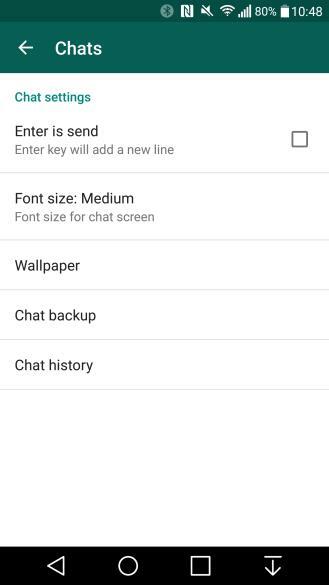 Other changes in the main list are the addition of Data usage as a top level item, the renaming of Help to the more appropriate About and help while also pushing it down toward the bottom of the list, and the renaming of Chats and calls to just Chats since the only call setting has been moved to another section. When you start digging into the sub-level settings, you’ll notice a couple of changes too. First, the Profile page has been modified. The profile picture is now round instead of square, and changing it is a more obvious step thanks to the new FAB-like camera icon. 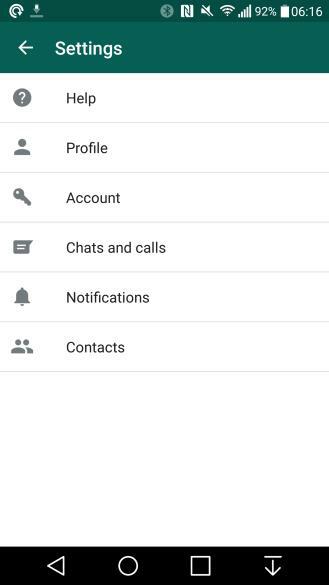 A green edit icon replaces the old grey one and the phone number is now displayed along with the status which you can tap to modify as well. Left: New profile settings. Right: Payment info is gone from Account. 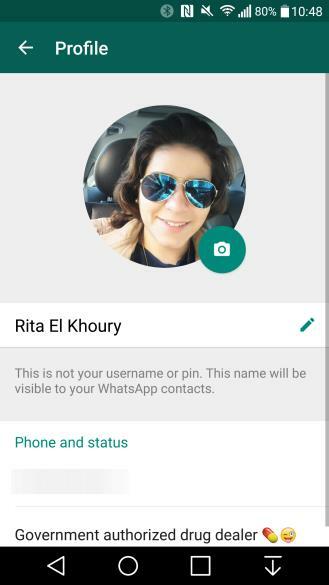 Payment info has now been completely removed from the settings — it’s obviously of no use now that WhatsApp is completely free. 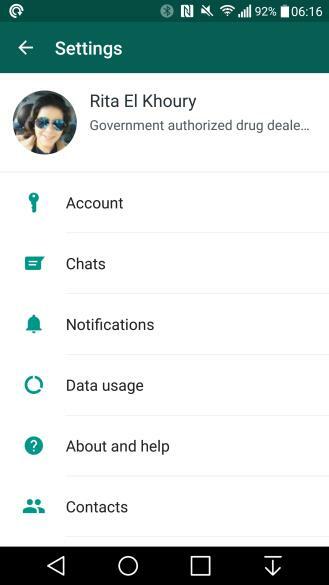 And finally, the new Data usage section is where all data-related settings have been moved to, from the Network usage totals of the app (sent and received messages, media, bytes, calls, etc…) to the Media auto-download settings for data and Wi-Fi, and the Call settings for low data usage. 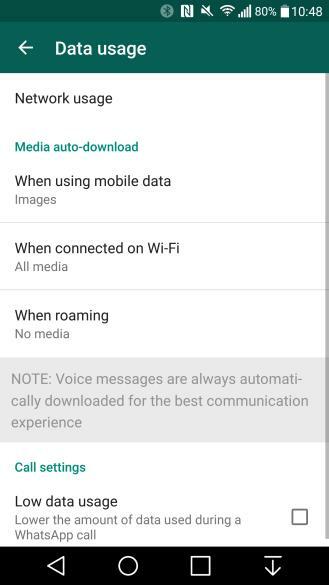 Media auto-download and Call settings have moved from Chats to the new Data usage menu. It might take you a minute to familiarize yourself with the new settings organization, but I find it makes a lot more sense than the previous one. Profile settings are more visually obvious and the new data section brings all of the corresponding settings into a single screen. Remember that you’ll need to be part of the Play Store beta program or to manually download the APK from APK Mirror to get version 2.12.506. Otherwise, you’ll still be on the official Play Store release version which is a little behind. And as is the case with these changes, we might see them stick around in the future or they might just be a test. We won’t know until a few more beta versions roll out with or without them.